Millenials are next to inherit the financial world, and they are sharper than Gen-Xers ever were in their prime. Millennials are the first generation that grew up in a tech savvy world, and you better believe they know how to navigate their way around an app. The key is to turn your young mind towards the future. Invest the money you’ve worked hard to obtain, and compound your total nest egg with time and knowledge. 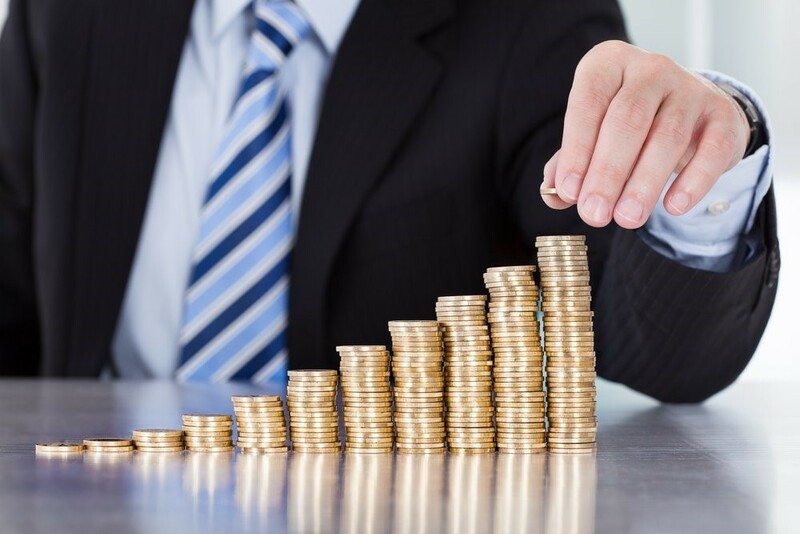 Here are some smart financial investment tips for the upcoming generation. If you’re not really in the know when it comes to the world of the stock market, then you will need some help navigating the treacherous waters. Find an honest financial advisor, as you don’t want to get into any trouble with FINRA (Financial Industry Regulation Authority). A solid financial investor will have a history of giving great advice, and he/she will be able to prove it. The earlier in your life you begin to build your portfolio, the better. You will have more years to learn, diversify, and solidify your investments if you begin working the markets early. The market is also soarly unpredictable, and it’s helpful to have a stash of financial security. If your employer offers you the option of a 401k, take the offer every time. The more you can toss into your retirement fund, the happier you will be when you’re old. Risk is necessary in life, and there’s a way to take calculated risks. Financial investment is the place for these leaps of faith, but you have to find a reason good enough to take the risk. Keep your safer investments like a traditional savings account or a savings bond, but step out of your comfort zone a little to diversify your portfolio. Be an active investor. When you make an investment, don’t just let it sit. Watch the market, and keep an eye out for a buying or selling opportunity that could bring in a higher ROI (return on investment). You’re still young, so hopefully, you haven’t already built up an excessive debt. Even if you have, start working to pay down your debts. Your future takes time to build, and relieving your identity of stray debts will help you go further. Start by taking a thorough inventory of your financial history. Get a credit report from all of the most vital credit reporting agencies, and sift through every entry for errors. Many people allow financial errors to weigh down their credit score, when a simple dispute of the charges could make them disappear. Forbes noted that in July of 2018, the price of Bitcoin (BTC) spiked past the $US 8000 mark fueling speculation that it may return to the heights it had previously tested in the past. After a few months however, it was noted that the price continued to plunge, settling at somewhere between $US 3000 and $US 4000 in January 2019. For many crypto speculators, the days of quick movement and fast cash are over. However, there are still a large amount of people who are “hodl”ing onto their BTC stash, waiting for the predicted rise in value. 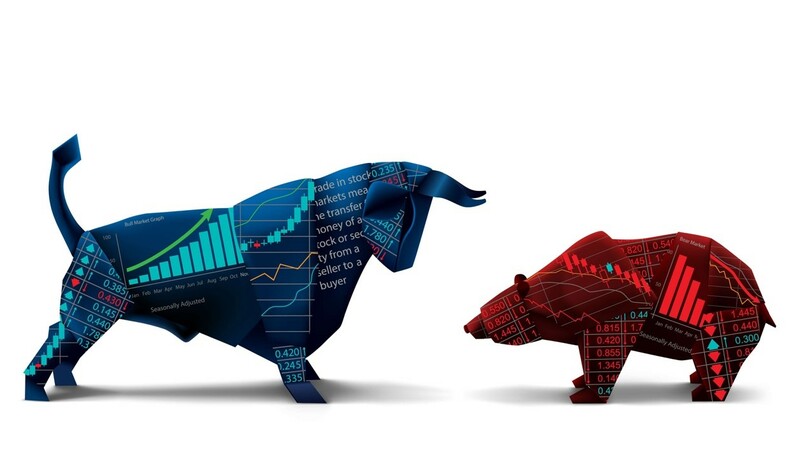 What do the business experts have to say about the possibility of another BTC bull run this year? BTC has shown its penchant for trading in a volatile manner and because of that, it’s very likely we’ll see a lot of spikes when it comes to BTC over this period. Coin Telegraph states that, in December of 2018, BTC volatility tripled, despite the fact that prices over this period were plummeting. This may be good news for traders who intend to short the coin as a commodity, since it creates a lot of good setups if the value of the coin continues to fall. However, for those who already have BTC in their portfolio, it’s just a matter of waiting out the fluctuation and seeing where the final price leaves you. Many of the adopters of BTC that got in when the coin had already breached massive highs are currently suffering the losses, but once they hold onto the coin itself, the losses may write themselves off. Most predictions for BTC see it being stable and even gaining ridiculous amounts of value in a five to ten-year span. Some predictions even place the maximum realized value at twenty years, citing things like inherent scarcity of the coin as well as adoption by international banking institutions. BTC already serves as a standard for other cryptocurrencies, and this means that if any of those get adopted as a viable alternative to fiat currency, there should be a knock-on effect that impacts the value of BTC as well. Coin Codex notes that in the long run, external factors like BTC futures trading can lead to a decreasing of volatility in the market through increased liquidity. Additionally, as more and more investors get drawn to BTC, more and more value will pour into the network and increase its presence. These things suggest that, instead of a short term outlook on BTC, investors ought to think about the long term gains. Despite its inherent differences from traditional financial instruments, the supply-demand curve is still in operation and the scarcity of the coin will eventually lead to increase in value, provided it becomes adopted in a more widespread manner. In the past, fortunes could be made in a matter of hours on BTC using Harga Bitcoin. Today, that scenario has completely changed. Just like all other financial instruments, it is a risk that the investor is taking and such risk should never be taken lightly, nor with money that is necessary to fulfil other needs. BTC’s future is still murky, but signs are strong that we will see it increase. This year will be crucial to BTC’s continued success over time, especially based on the wider acceptance and usage of cryptocurrencies. We are also likely to see a cleanup of “junk altcoins” on the market as they lose value and slowly drop off the radar, leaving the handful of resilient coins to retain their value and improve. While the immediate future of BTC is a bit of a black box, it’s long-term outlook is still relatively secure. 2019 will serve to cement this opinion if bitcoin rises. For those who aren’t already in BTC, it is important to note that just like every other security instrument, investment should only be made with funds that the investor can afford to lose. As is often the case in massive cultural and societal shifts, the story of cryptocurrency’s 2018 ups and downs is incredibly complex, requiring several smaller stories to explain its current place in the world, and why people are so stirred up over it. This post is particularly aimed at folks with a reasonable understanding of the world of crypto, so if you’re a little out of your element, we recommend reading up on the basics first. In this post we’re going to look at two seemingly contradictory trends in the world of digital currencies and why they are likely to become a tipping point for this revolutionary technology. We’ll cover these trends in two sections and then explore what it means when you bring them together. While crypto’s detractors (and there are many) will argue that spending Bitcoin, Litecoin, etc., is complicated and unsecured, reputable companies such as Microsoft, Subway, Overstock and Expedia have all begun accepting popular cryptocurrencies. Additionally, many small, independent businesses, retailers, cafés and so forth, have begun accepting cryptocurrency as an alternative to government-controlled centralized, fiat currency. In this sense, crypto is inarguably growing closer to mass adoption. On the other hand, while we may be approaching this tipping point, we are not quite there yet. Adoption by a tech giant like Apple, Amazon or Google would certainly constitute the required push – a sort of Deus Ex Machina effect – to bring crypto fully in the mainstream, for it is currently perched just on the cusp. In the past year, a plethora of easy ways to sell Bitcoin have popped up, with an increasing number of reliable, secure digital platforms serving as fiat gateways for those who are interested in using crypto as currency, or purchasing it as an investment. Know your customer (KYC) and anti-money laundering policies provide a solid level of security to guard against untoward uses of crypto, but as it is still largely an unregulated frontier, more conservative, pro-fiat individuals argue that it facilitates shady dealings and undermines government. Even the most fanatic crypto proponent would admit that Bitcoin’s 2017 high of $20,000 constituted a bubble, and that $7,000 (the level that it fell to) was a correction, alarming though it was. The November dip below $5,000 is being heralded by glib detractors as a death knell, but this completely discounts the fact that the global market (at time of writing) is a bear, dropping rapidly and indicating a recession. Thus, to declare the death of crypto is to ignore the greater context: yes, digital coins are losing value, but only at a rate proportionate to the overall drop in the markets at large. Of course, this drop comes at an extremely inconvenient time for crypto, which seemed poised to establish a consistent store of value around that $7,000 mark. As we get into the first quarter of 2019, it will be fascinating to observe the relationship between the fluctuations of global economies in relation to the fluctuations of Bitcoin prices. For the time being, crypto geeks and rain-makers are holding their breath, waiting to see what happens next. The rise of crypto is utterly unique, and thus the current situation is unprecedented – we can only wait and see. If you’re a business owner looking to make some money, you may or may not run into a situation where you have to transport your goods. Depending on the size of your product and where you created it and where you ship it to, there may be some transportation involved. This situation may mean you have to transport via truck, or post office, or train, or even airplane. In all those cases, issues can happen that affect your stock’s movement. If your product is in a truck, there’s always the risk of an accident. If you don’t know where your product is produced, you could run into issues with non-transparent outsourcing. Any time there’s transportation, there can be delays in movement. And warehousing logistics can be a nightmare depending on the reliability of the locations that you use. On the road, accidents happen. That means if you’re using a truck to transport goods, there’s always a chance there could be a trucking accident on the highway. Not only do you have to deal with the fallout from a vehicle accident report, but your products may also be damaged or ruined that were in the vehicle itself. Making sure you have the right kind of insurance and also know legal implications of trucking accidents is a good idea before you put your items on the road. For larger companies, product development, creation, and transport may happen outside of the view of the people in charge. When this occurs, sometimes transparency suffers. Managers and owners may not understand the exact details of production facilities, employee safety, or transportation method. It is risky to trust everyone in your production line to handle all of the essential details and quality control of your product, but it is a necessity after your company reaches a certain size. Especially if you’re shipping your products from one geographic region to another, there can be all sorts of traffic and transport delays. Consider that trucks have trouble transporting goods over icy mountains, or that certain weather conditions make it so that your shipment of products don’t make it from one major urban center to another in the right amount of time. There’s always a time risk when you’re trying to move items from one place to another. It can often be inefficient to own a warehouse. That means that you have to rely on another company to house your products. And then when people order things from you, you aren’t always going to own the trucks that move items from the warehouse to another location. Again, this is where risks come into play if you aren’t intimately familiar with the equipment and the people that are in charge of your stock. The Netherlands is a top investment destination in Europe and one of the most performant economies of the European Union which is why it attracts many foreign enterprisers who feel at home there. They benefit from incentives in emerging industries like research and development, renewable energy, financial technology and blockchain and cryptocurrencies. No matter the field one wants to activate in, there are a few steps to be completed, from both a legal and non-legal point of view. These steps are related to the registration of the business form. Among the non-legal procedures which are not mandatory, but optional and recommended, is choosing the type of structure. Among the types of companies preferred by foreigners is the limited liability company, shortly known as the BV in the Netherlands. What does a foreigner need to start a BV in the Netherlands? Foreigners have the same rights as local investors when choosing to open a company in the Netherlands. Actually, it would be fair to say that there are some tax advantages for foreign citizens moving to this country, so the state makes no difference between a local and a foreigner who wants to open a Dutch BV. We’ve mentioned earlier some optional steps for foreign investors who decide to start any type of business in the Netherlands. These would be a market research and a viable business plan which will help them once they start. Then, the legal procedure will follow. There is nothing to fear when it comes to the actual registration of the company with the competent authorities, which in the Netherlands are the Trade Register and the tax authorities. One will first need to prepare some documents and find a location to serve as a registered address or company seat. Also, a manager for the company must be appointed before registering the company. The business owner will also want to have some company names prepared in order to submit them with the Trade Register. Out of the two or three names, one will be approved as the company’s trade name. The first stop will be at a public notary’s office where the incorporation documents of the company will be drafted and notarized. These must be drafted in Dutch. The business name reservation, together with the incorporation documents and passport copies will be filed with the Companies Register for approval. Once they are approved, the company will be issued a certificate of incorporate and a unique number called a registration number. The business registration process does not stop once the company has its registration number, as there are a few more steps to complete. We mentioned the tax authorities earlier, so the next stop should be there in order to obtain the tax and VAT registration numbers. Based on these, the company will be ready to engage into commercial activities. An important aspect which should be considered when starting a business in the Netherlands is the license to operate. The procedure here will differ from one activity to another. There are various requirements and specific documents which must be filed for approval with the authority in charge of the respective field. Luckily, most of these procedures are completed online. Setting up a Dutch BV is not complicated thanks to the government which has streamlined the procedures and documents as much as possible. The authorities here also do a very good job, as most of the process is completed online, so a foreigner can have this type of company registered in almost a week. Trading profession is one of the most sophisticated business in the world. You have to use your intellect to find the best trades. Those who are trading the market for a long period of time always consider this profession as their business. You have to develop a simple trading strategy to make consistent profit from this market. Those who consider this trading industry as a shortcut way to becoming rich always lose money. On the contrary, the expert traders always consider the risk factors of the market. Some of you might think that you can cut down your trading cost by using a low-grade broker but this is not true. It’s true that the low-end broker will give you different kinds of bonus but this will never help you to become successful traders. Let’s learn why you should trade the market with a reputed broker. The retail traders are not concerned about the quality of their trading environment. If you become a day trader it’s highly imperative you have access to the premium trading environment. A single second delay in your trade execution can cause catastrophic loss to your trades. Your broker needs to offer lightning-fast trade execution since it is the best way to save yourself from the slippage. But never think that you will have zero slippage in the retail trading industry. Regardless the quality of your brokerage firm you will always have face to face slippage. But choosing a reputed broker will save a huge amount of money in the long run since you will have minimum slippage most of the time. You have to gain access to the advanced trading tools to do the perfect market analysis. If you trade with the low-end broker you will never gain access to the premium trading platform. Due to this fact, many expert traders often consider Asian introducing broker as their primary broker. They offer one of the best trading platforms in the retail trading industry equipped with advanced trading tools. Some of you might say that you don’t need any access to the premium trading tools but this is not all true. If you start doing the market analysis with advanced tools, you will find significant improvement in your trading career. You have to understand the importance high-quality customer service in Forex market. If you trade with a low-grade broker you will never find a quick solution to an existing problem. As a full-time trader it’s very likely that you will face some problems with your live trading. In such case, the expert customer service will give you a very clear guideline to solve your problem. Some of you might even face a problem with deposit and withdrawal process. This is where the expert customer service will become helpful to you. Those who really want to consider trading as their full-time profession should always consider professional brokerage firms. If you trade with an average broker you will never get proper safety for your investment. Due to this fact, many people are considering Juno market as their primary broker since they have all regulations to conduct their service in the retail trading industry. Trading is not about making consistent profit from this industry. It’s how well you manage your trade in the Forex market. So make sure you do some extensive research and find the perfect broker for your trading. Stop trading the market with an average broker since it will significantly increase your risk exposure. If you can understand these three key advantage of reputed broker you will never trade with the low-end broker. Being a full-time trader, it’s your duty to ensure your fund’s safety.